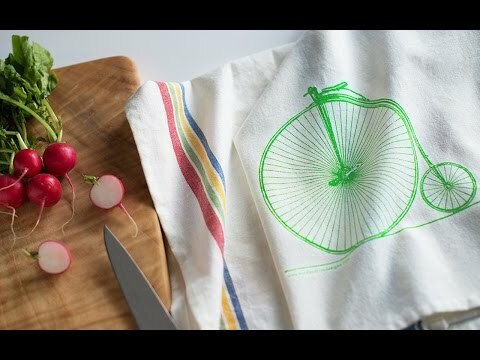 These hard-working cotton dish towels bring vintage styling and lightheartedness to everyday kitchen cleanup. Great quality fun to use. I ordered several and use them as gifts. Great size and designs are cute & informative. These are very nice and my wife loved them. Hope to get more for the holidays for other family members. 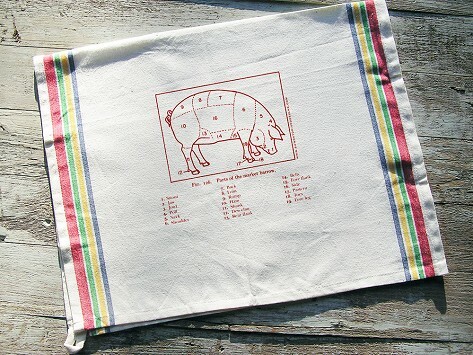 Sunday Drive’s vintage-inspired tea towels feature witty graphics that just may make you smile. But unlike most decorative towels, these 100% cotton dish cloths are extra thirsty and absorbent, making them both functional to work with, and whimsical to look at, when they hang in your kitichen. Generously sized at 18”X28”, they are heavier than the flour sack variety and have a texture that grabs liquid and wipes efficiently. Printed with water based inks, they wash easily and hold their shape. Sunday Drive Designs is the creative vision of graphic artist, Becky Morette. A lover of all things antique and home spun, she has been making throwback home goods since 2010 in Seattle, Washington. The company’s name is an homage to the drives she took with her parents hunting for treasures at second hand stores. With six different multi-colored, striped designs to choose from, you can enjoy (and use) more than one of these unique, workhorse towels.